Hello there! 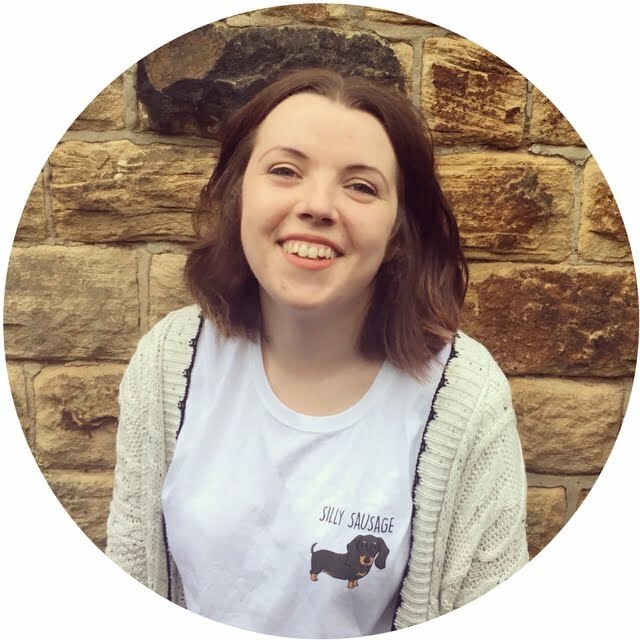 You may remember that a few weeks ago I made a most titled 'cuppa catch up', and I thought, why not turn this into a monthly catch up? As you've probably been able to tell recently I have stuck to posting once a week as I feel this is a schedule that can be achieved within my oh so busy life at the moment! This way I can catch you all up on what has been happening throughout the month and not have to bore you with tales about how I've been reading numerous books/articles/generally having loads of work to do. 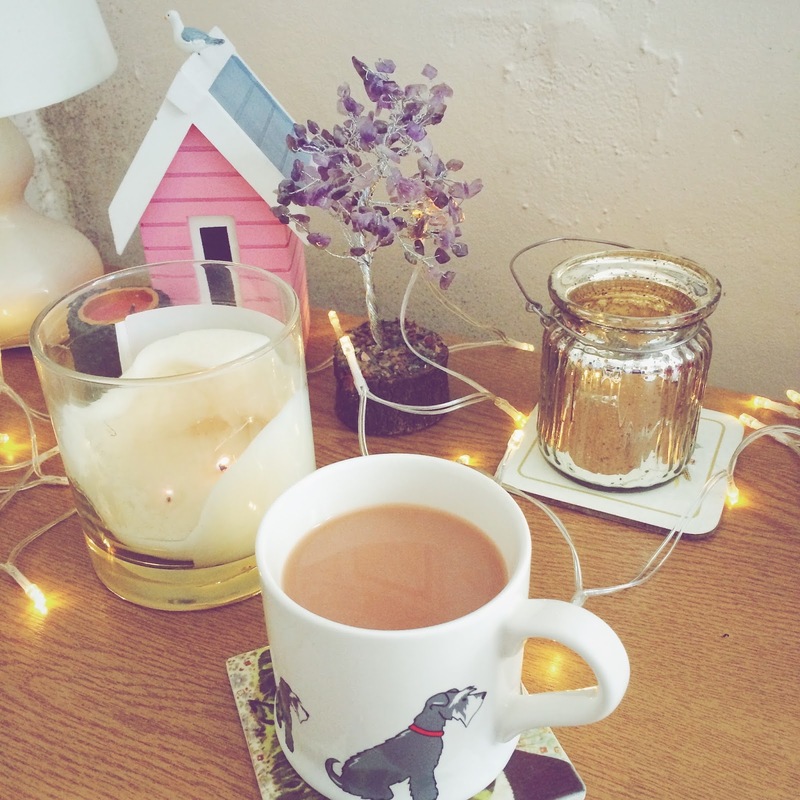 Go and grab yourself a cuppa and let's have a catch up! Hello there! I can't believe that it's been a week already, but last Sunday Tom and I took a trip to York for the day. We hadn't been to York since our trip last year for our anniversary, so we thought it was about time that we returned. As York is such a beautiful place I thought I would share with you what we got up to! York is only about an hour away from Sheffield by train so it was easy enough to get to and near enough to go to for the day. There's plenty to do in York as I've been a few times over the years now both with my parents and with Tom, and there's still things like the Viking centre that we have yet to venture to. Unfortunately at the moment owing to the recent flooding the centre is shut until further notice, so we will definitely have to return once it's reopened! Once we arrived we went for a walk around part of the walls that surround the city. We are still yet to walk fully round them, and I want to one day just when it's a bit warmer! We got down from the walls close to the river and walked over towards the castle. On walking into the centre and making our way along the Shambles we took a trip to Bella Italia for lunch, where of course, we had the classic Tom and Jess meal of pizza. After lunch we made our way to The Minster Gate bookshop which although appearing small from the outside, has various rooms all filled with secondhand books which we both enjoyed looking round. I picked up a couple of books which I look forward to reading in due course once my course reading is over! We had a wander round the shops before deciding that it was time for a cup of tea and some cake. We had a look at visiting Betty's, but the queue was absolutely ridiculous! I know it's famous in York but the cake can't be that good; I have honestly never seen a queue that big for a cafe. After finding another cafe and stopping for some cake, it was time to get the train back to Sheffield! Tom and I had a lovely day and I would definitely recommend a trip to York if you have never been before! I did have a look at the University online all those years ago, but as you needed a language A level to do English I had to take that off as a possibility! Which are your favourite cities to visit? Hello there! Valentine's Day is tomorrow and although Tom and I do not really celebrate it, I thought it was the perfect excuse to do some baking. Today I will be showing you how to make these really easy but yummy chocolate and strawberry love hearts! 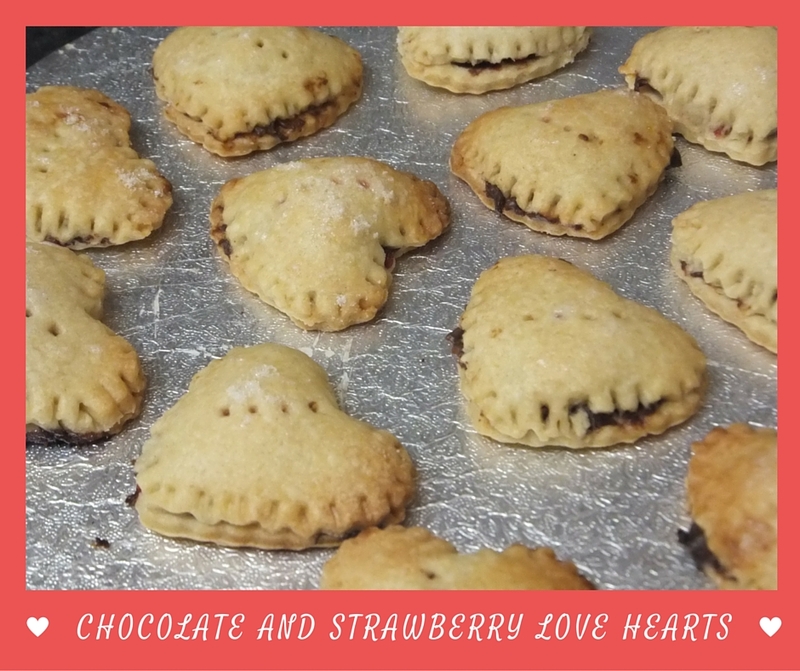 Now these do not have to be made solely for Valentine's Day; they can be made any time of the year with your own choice of filling, or even your own choice of shape. Now it's up to you whether you make your own pastry or not. If you're stuck for time you might just want to buy some ready made shortcrust pastry, but I always think it's a lot nicer if you have the time to make it yourself. Add the flour and sugar into a mixing bowl. Add the lard and stork in chunks and rub together with your fingertips until it resembles breadcrumbs. Add 1tsp of water per 25g flour and form together into a dough. Place some flour down on your work surface and roll out the pastry! Hello there! 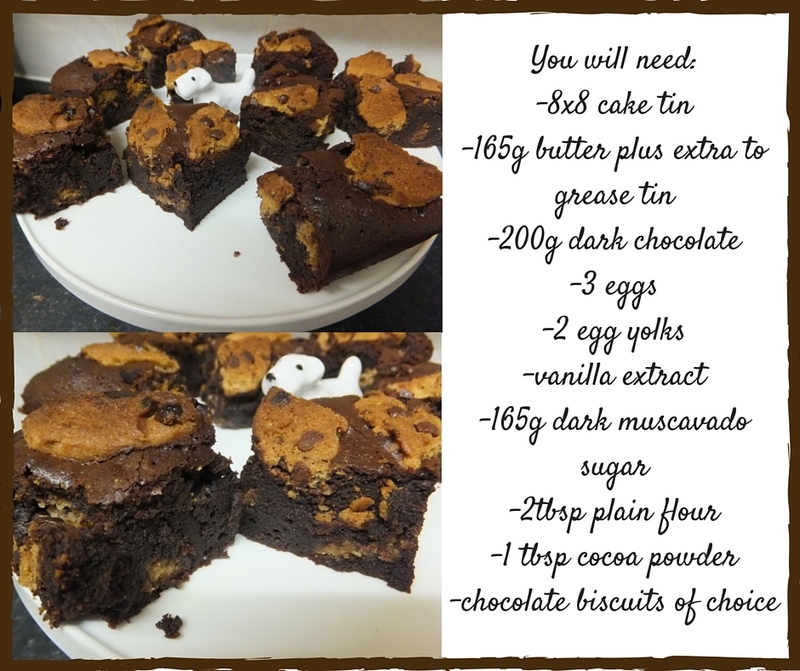 Another baking post for you today; this time for some super yummy chocolate cookie brownies! Tom and I decided that we wanted to make some brownies and on looking at different recipes we settled on Lorraine Pascale's recipe for cookies and cream fudge brownies. Lorraine's recipe used oreos but we exchanged these for cookies because although I would have liked oreos, Tom doesn't like them and as we were making them together I thought we should both enjoy them! To start you will need to grease your tin with some butter and cut out a square of baking paper to fit inside- make sure the square is large enough so that some paper hangs over the side. Chop up your chocolate into small pieces, and break your biscuits of choice into quarters. Melt the butter in a pan over a medium heat. I put this straight into the pan and made sure to keep stirring the butter until it was melted. Once the butter has melted, remove from the heat and add the chocolate. After a couple of minutes stir the chocolate in until it has melted. If you find there are still a few whole bits of chocolate just put the pan back onto the medium heat and be sure to stir all the while until it's all melted together. Take off the heat. This is where it helps to have a helper on hand! Whilst you are melting the butter/chocolate, the helper can put the eggs, egg yolks and vanilla into a bowl and whisk until the eggs look light and fluffy. Add the sugar in two halves and whisk in each time. Keep whisking until the sugar/egg is incorporated and the mixture becomes firmer. Pour in the chocolate to the mix. Add the flour, cocoa powder and a third of the biscuits and stir together until fully combined. Preheat oven to 180°C/350°F/Gas Mark 4- you may want to do this earlier depending on how long your oven takes to heat up. Pour the mixture into your prepared tin. Sprinkle some more biscuit quarters on top of the mixture, we had a few left over so it was a good time to have a cup of tea and eat the leftover biscuits whilst the brownies were in the oven! Take out the brownies when the mixture springs back when touched. Leave to cool in the tin. I'm sure that these will become the staple brownie recipe that we make now, and I want to try out different types of biscuits within the mixture. As always if you recreate these please do let me know- I'd love to see which biscuits you decided to use! © jesslouisekeen | All rights reserved.